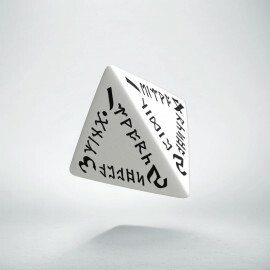 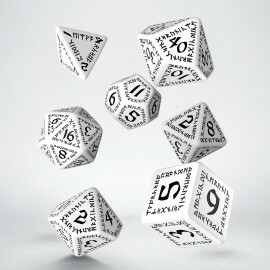 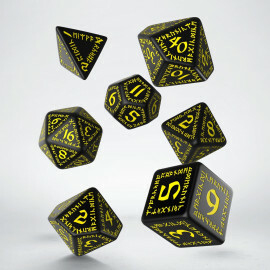 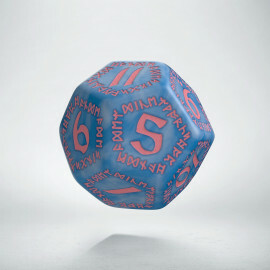 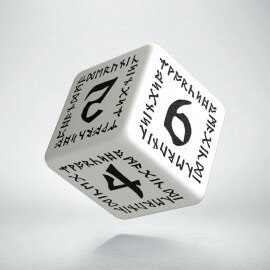 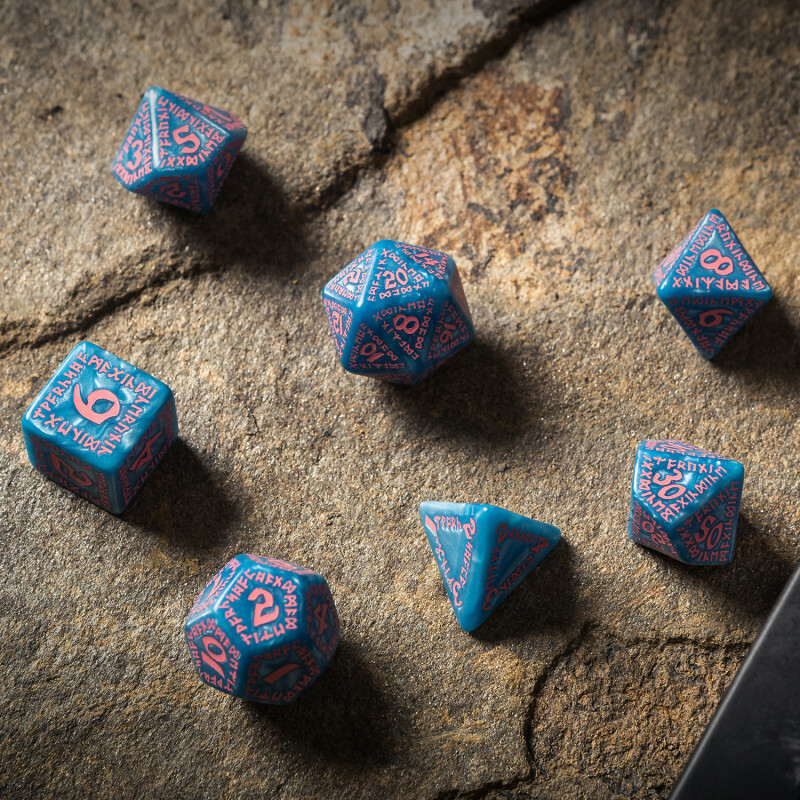 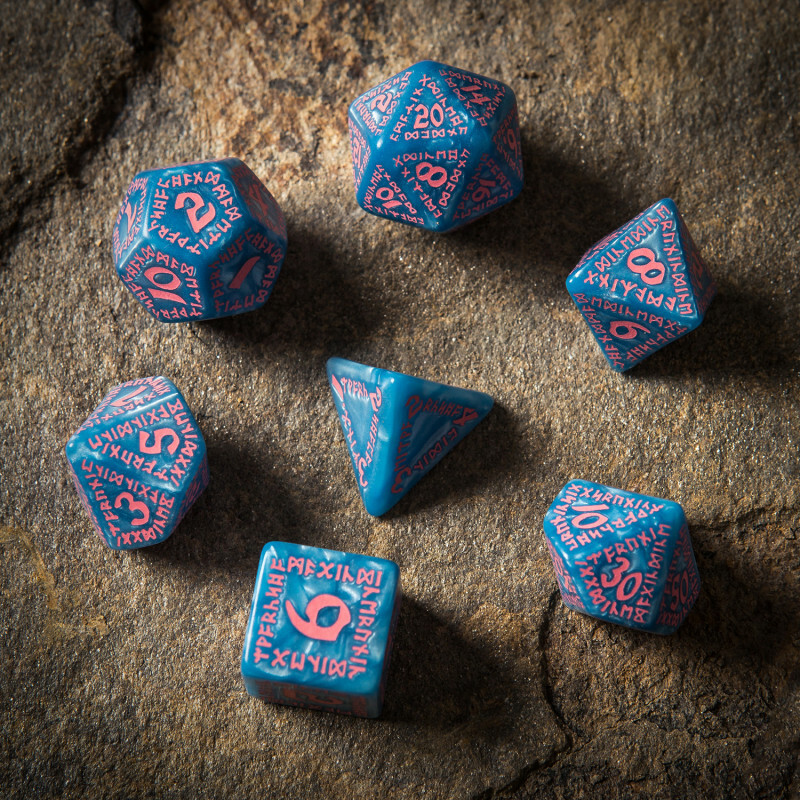 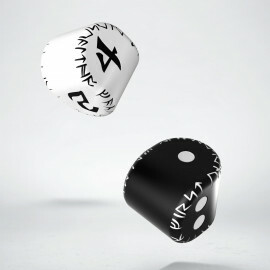 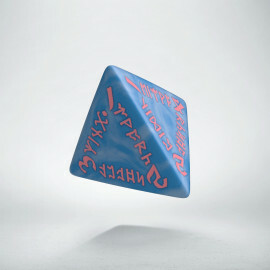 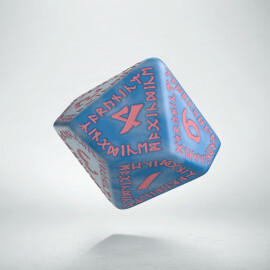 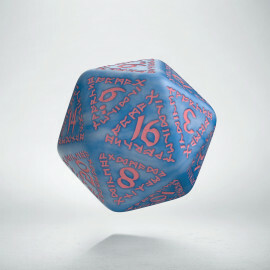 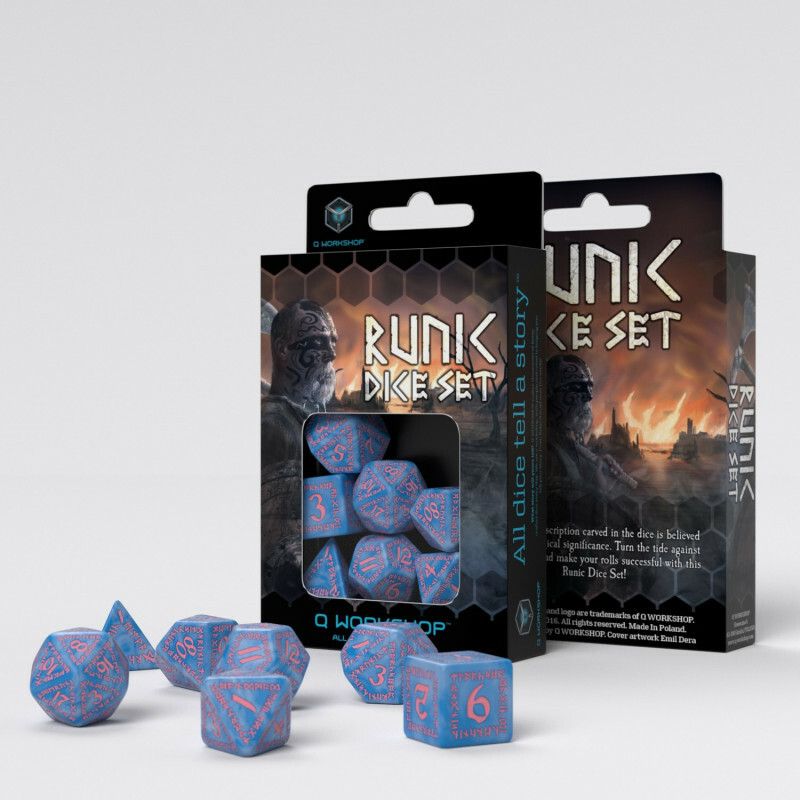 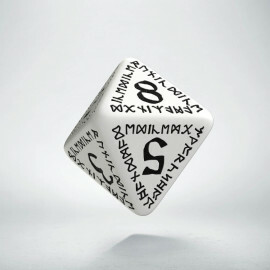 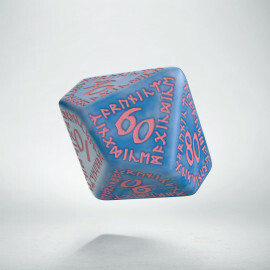 Runic Glacier & pink Dice set is imbued with the frosty force of rune THURISAZ that resembles battle axe. 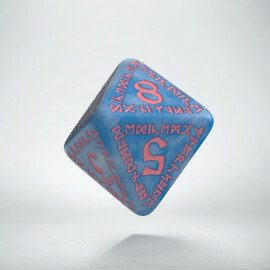 Remember that even the frost giants bleed, and when you hit hard there will be hot pink color on the skin of ice. 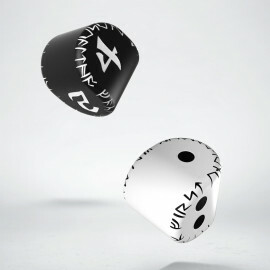 This rune represents the defense against all attack. 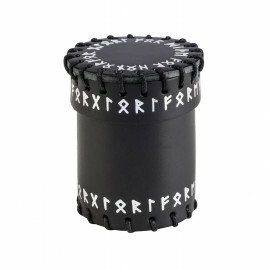 This is the strongest rune of protection in whole runic alphabet. It can be also used to strengthen the devastating blow of your axe, but only in fair combat. 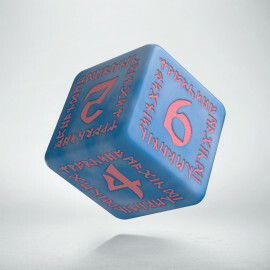 Dice with THURISAZ rune can defend against all what aggressive and make your hit final.